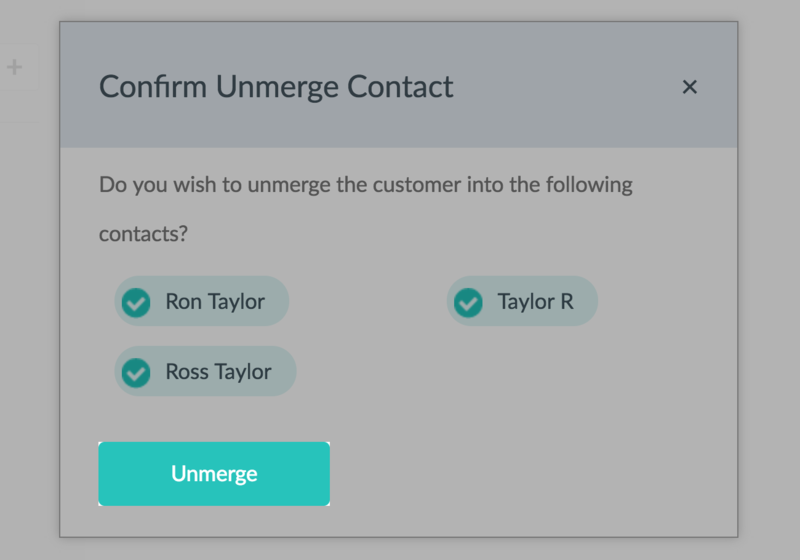 Customer contacts combined using the Merge feature can be split up into its initial components using the Unmerge option. 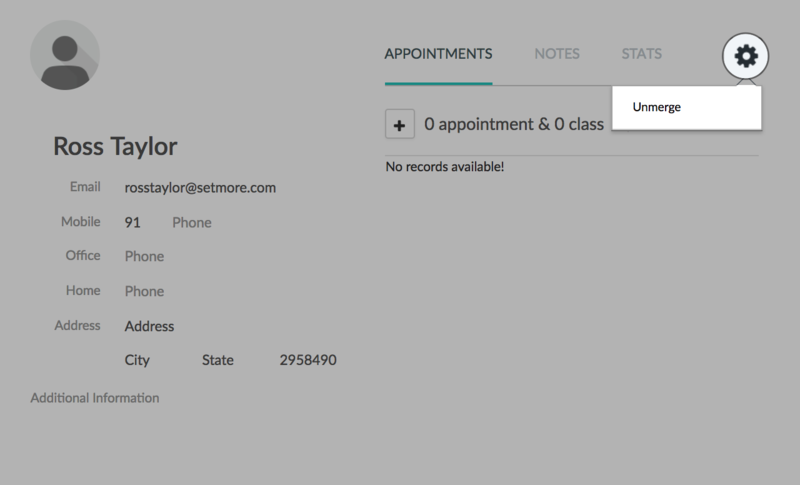 This feature can be used to retrieve vital customer information lost due to a merge operation. 1. Navigate to the Customers tab. 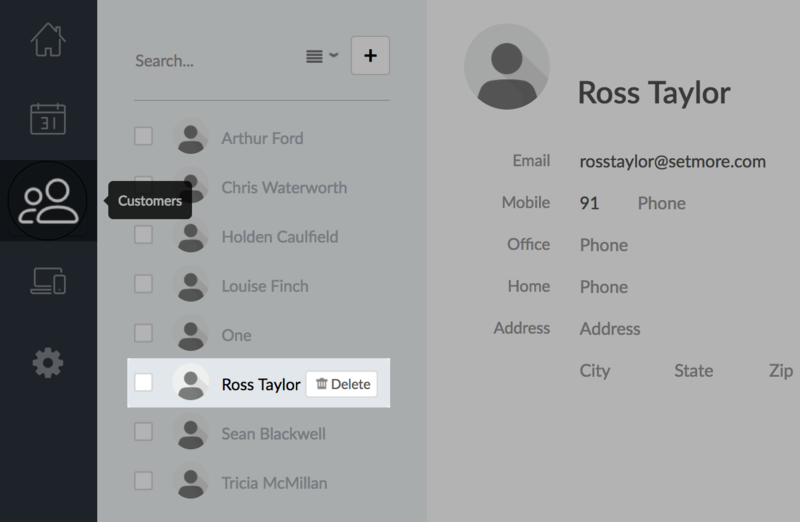 In the customer list, choose the profile that has been created using the Merge feature. 2. Click the gear icon in the Customer Details window and select Unmerge. 3. A window showing the profiles that existed before the merging will appear. Click the Unmerge button to confirm. 4. A confirmation window will appear. Click the Ok button to close it. Your customer listing will then reflect the changes.